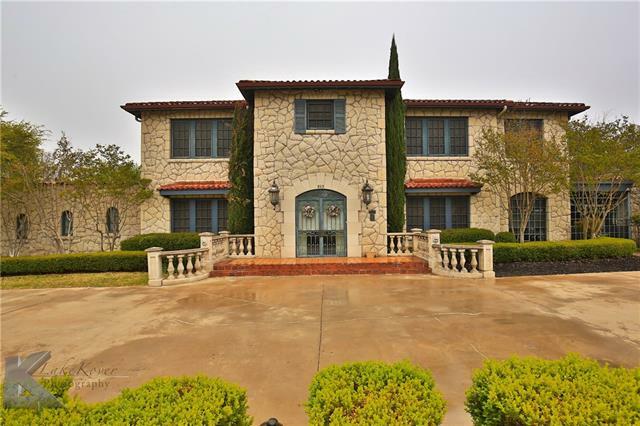 All Abilene homes currently listed for sale in Abilene as of 04/23/2019 are shown below. You can change the search criteria at any time by pressing the 'Change Search' button below. 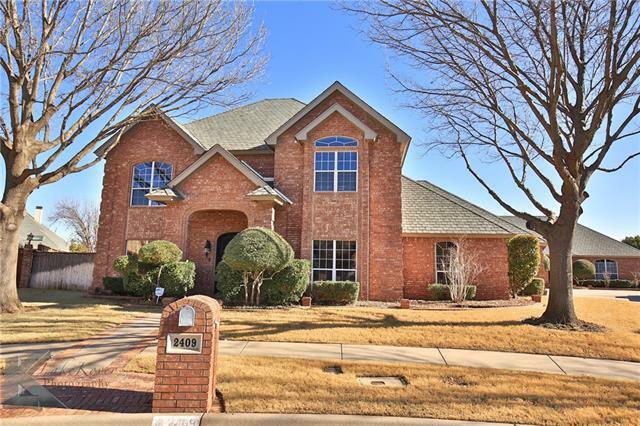 If you have any questions or you would like more information about any Abilene homes for sale or other Abilene real estate, please contact us and one of our knowledgeable Abilene REALTORS® would be pleased to assist you. "Extraordinary beauty graces this Mediterranean masterpiece nestled on 2.48ac of breathtaking views. Solid Cantera double doored entry opens into this stunning home where striking floor to ceiling windows provide a panoramic view of the entertaining patio, infinity edge pool & spa, outdoor fire place and stunning views of the lake and valley. Kitchen offers a chefs dream with Viking appliances, prep island with sink and commercial grade Viking double oven range. 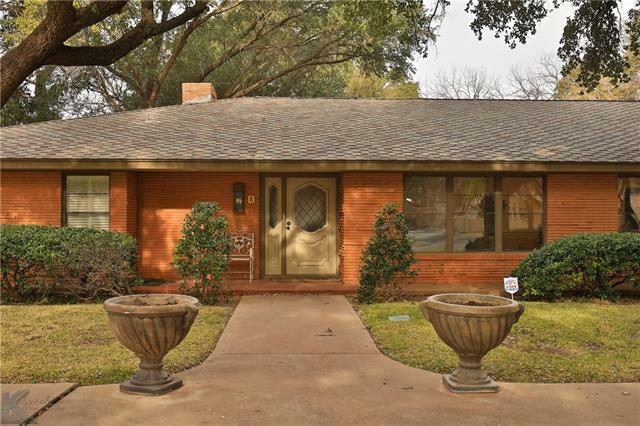 All downstairs bedrm have private "
"Spectacular home located in gorgeous Tanglewood subd! Breathtaking 20 ft ceilings, hardwood flrs, 2 fireplaces, crown molding, & 9 ft doors. Open kitchen-dining-living floorplan, separate formal dining connects to large granite island kitchen via butlers pantry. Kitchen also features stainless appl, 2017 Sub-Zero fridge, huge walk-in pantry. Downstairs master suite, luxurious bath, walk-in shower & whirlpool corner tub. Splendid office has French doors, floor to ceiling bookshelves, & built-in "
"Stunning home richly detailed with breathtaking 20 ft. ceilings! Fabulous outdoor environment has spectacular pool boasting swim up bar & hidden spa! Beach entry, waterfall & green egg grill in bar area of pool! Huge covered patio with outdoor kitchen backs up to 16th hole of the golf course. Wall of windows, amazing floor to ceiling bookshelves & oak flooring in the elegant living area. Built for entertaining with 2 dining areas open to kitchen with large granite island, GE Profile appliances "
"Magazine worthy home on 5 acres! Grand 2 story ceilings in living and dining areas. Kitchen features prep sink, large island, double oven, gas range with granite counters! Stately office with built ins and fireplace. Luxurious master suite with fireplace, floor to ceiling windows, wet bar, and tv that hides in the ceiling! Master bath is your very own spa with fireplace and water feature, extra large jetted tub, huge walk in shower! Second floor features game room and kitchenette open to do"
"Owner Agent. 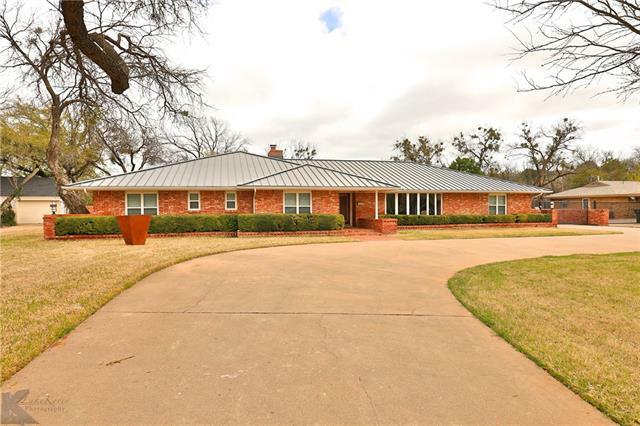 Stunning One of a Kind Property Located within minutes of Abilene! 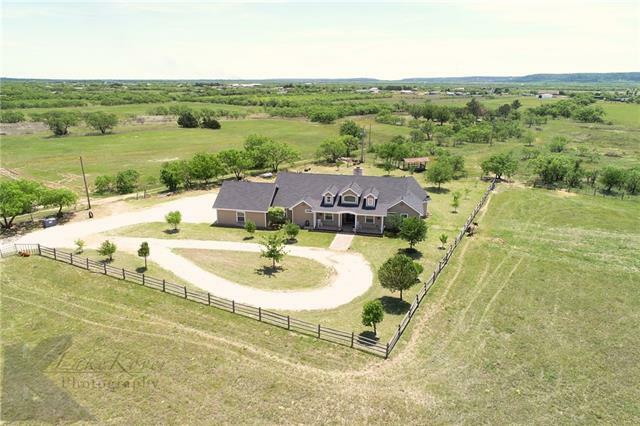 Over 25 Acres of Rolling Elevation and Amazing Views! 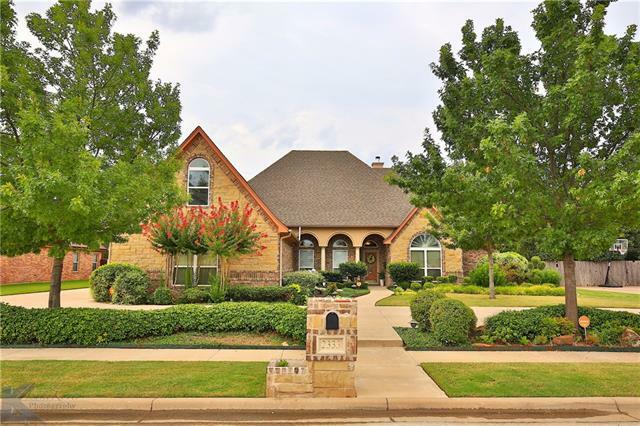 Beautiful Custom Home including 4 Oversized Bedrooms, 4 Full Baths and a Half Bath, Spacious Kitchen and Dining Area, a Study, & Massive Bonus Living Room Upstairs. Two Master Suites, one in each wing of the Home. Enormous Covered Back Patio is Ideal for Relaxing in the Peace & Quiet or Entertaining a Crowd. Grilling Pergola. Insulated Workshop with Attached Carpo"
"THIS ABSOLUTELY SPECTACULAR TUSCAN STYLE ESTATE IS SET AMONGST BEAUTIFULLY MANICURED GROUNDS. FROM THE GRAND ENTRY TO THE SOARING CEILINGS, A WATERFALL OVER THE MASTER BATH, FLOOR-TO-CEILING WINDOWS OVERLOOKING THE POOL TERRACE AND BEYOND TO YOUR VERY OWN FISHING POND. THE IMMACULATE GOURMET KITCHEN HAS A COMMERCIAL GRADE GAS RANGE*BEAUTIFUL GRANITE*POT-FILLER*WINE COOLER AND 2ND SINK. 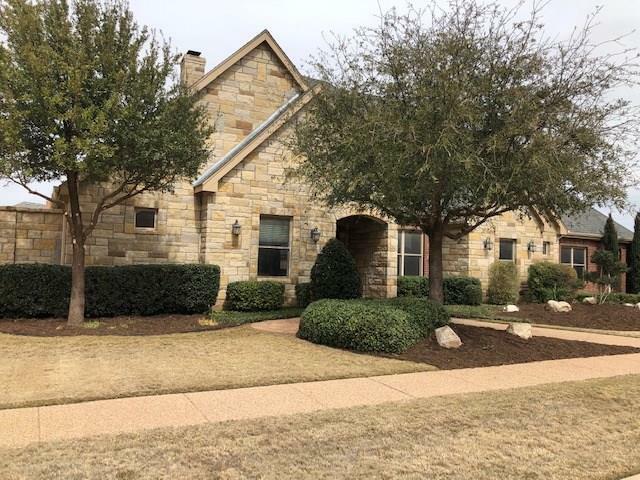 THE MASTER SUITE HAS A MASSIVE WALK IN CLOSET* GORGEOUS STONE WALK IN SHOWER*A FIREPLACE* WET BAR AND ACCESS "
"A truly rare find positioned on a double lot that sits on the 14th hole tee box of the Fairway Oaks Golf Course. This magnificent home has 2 living and dining areas, large sunroom, butler s pantry, split bedrooms, upstairs game room with balcony, office, and a 3 car garage. The open floorplan is a seamless flow for everyday living or entertaining between the serving bar, family areas, kitchen, sunroom and outdoor living spaces. The master en suite has an exercise area overlooking the back ya"
"Wonderful home on 75 plus acres, great stock tank, beautiful trees over the entire property, guest house, barn, extra covered parking, small winding creek runs throughout the property. BEAUTIFUL property, A MUST SEE to appreciate." 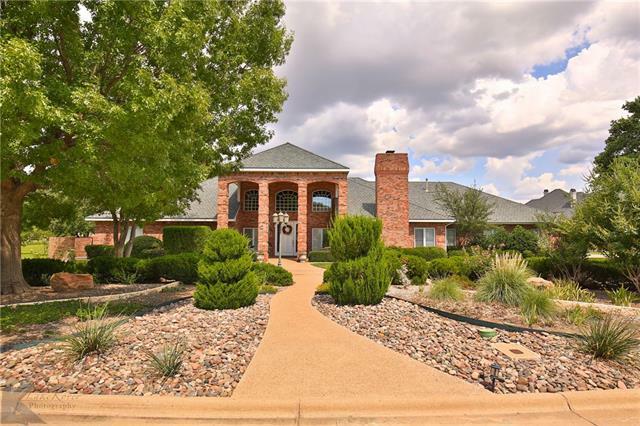 "REALLY BEAUTIFUL 4 BEDROOM, 4.5 BATH FAMILY HOME IN THE VAQUERA RANCH GATED COMMUNITY LOCATED ON A LANDSCAPED 1+ ACRE LOT. HOME FEATURSE A SPACIOUS KITCHEN, 2 LIVING AREAS, 2 FIREPLACES, LG GAME ROOM, EXERCISE ROOM, 2 OFFICES, WALKINS IN ALL BEDROOMS, GRANITE COUNTER TOPS THROUGHOUT. 3 CAR GARAGE WITH WORKROOM, SELF-CLEANING SALT WTR POOL. GAS FIREPIT, GARDEN, STORM-SAFE ROOM. VERY ENERGY EFFICIENT WITH DAIKEN HEATING-COOLING SYSTEM, GRID TIED SOLAR PANELS, ALL LED LIGHTING & BACKUP GENERATOR." 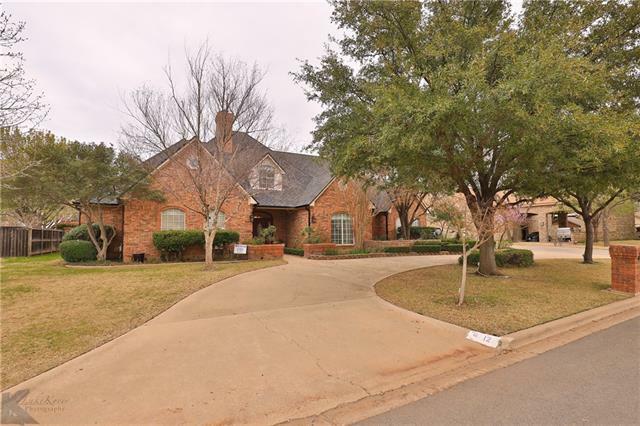 "THIS HOME IS SITUATED ON THE 15TH GREEN AND WILL NOT DISAPPOINT! THE WHOLE PROPERTY IS UNIQUE AND TRULY A MUST SEE! AS YOU ENTER THE HOME YOU ARE MET WITH A BEAUTIFUL VIEW OF THE GOLF COURSE. THE SECLUDED MASTER SUITE HAS A SITTING AREA AND OWN ENTRANCE TO THE BACK YARD. THE WET BAR IS SOMETHING YOU DON'T SEE EVERYDAY, IT COMES COMPLETE WITH A REFRIGERATOR, SINK, AND DISHWASHER. ALL THE BEDROOMS ARE DOWNSTAIRS INCLUDING A SECOND MASTER SUITE. 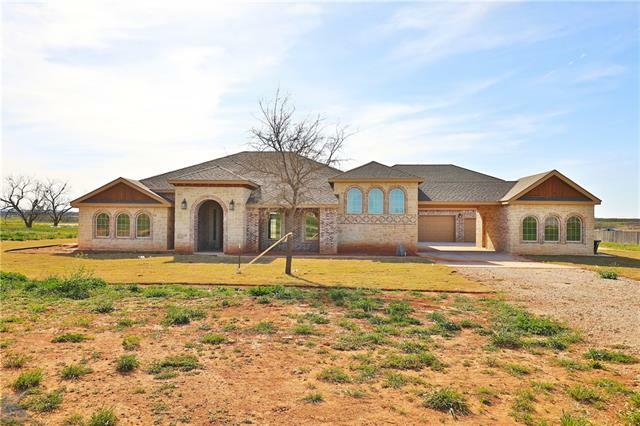 UPSTAIRS YOU WILL FIND A HUGE GAME ROOM WITH ADDITION"
"This fabulous 4,621 square foot home on 1.67 landscaped acres offers panoramic views and a park like oasis. Featured are four spacious bedrooms with the master suite and guest suite on the first floor and two more large bedrooms and living area are located on the 2nd floor. There is a study and separate workout room. Four gas fireplaces and many cozy areas will warm your heart for the winter months. The outdoor space includes a living and dining to entertain the largest of groups.The home is sit"
"Stunning Mediterranean style luxury home & Guest House, located in gated community of Vaquero Ranch & boasts almost 5000 sqft filled with finest upgrades of granite, hardwoods, travertine & more! Breathtaking entry has 24-ft. ceilings. Wall of windows has view of Gunite pool with beach entry & spa. Guest House has full bath & kitchenette! Entertain in 2 living areas with Artisan face gas fireplaces & formal dining! Large study. 2 staircases lead to flex room & 3 bedrooms, each has private bath. " "A new lifestyle awaits in this exquisite, sprawling estate that rests on 7+ serene country acres. Panoramic views surround the entertainers dream home which boasts a resort like back yard with mature palm trees, soothing waterfall that flows into your heated pool, fully equipped outdoor kitchen, covered outdoor living spaces, shaded pergolas, cozy fireplace for ambiance, tv hookups & full pool or guest house! 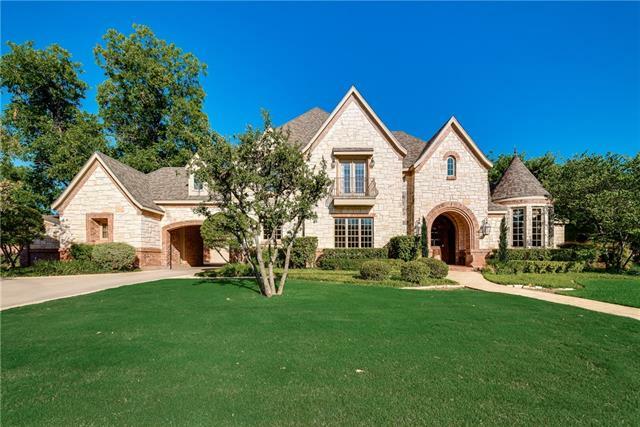 Grace & grandeur flow through the home; from the formal dining with detailed arches, cl"
"Nestled quaintly on the Elm Creek in the prestigious Tanglewood addition, this vintage 1961 model boasts over 4000 sqft of luxury living. Completely remodeled in 2009, it offers 4 bedrooms, 3.5 baths (jack & jill between 2 rooms and a private bathroom for the guest room), master steam shower, as well as 2 living areas, and a spectacular dream kitchen with top of the line appliances & a climate controlled wine room. Unique to this home is what's outside the back door. The outdoor patio-kitchen-b"
"Luxurious Country living close to shopping, restaurants and Dyess AFB. The grand open concept has wood beams, picture windows, and stunning stone fireplace. Kitchen features leathered granite counters, 2 islands, double oven and huge pantry. Wine cellar has granite and wine cooler! Master suite features spa like bathroom with separate vanities, huge shower with body sprays and soaking tub! Media room has raised theater seating and projector stays! 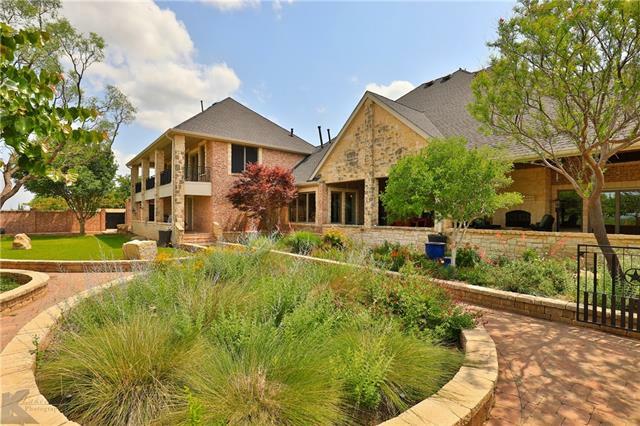 Outside is an oasis with full outdoor kitc"
"This 4 bedroom, 4 bathroom home sits on 1.169 acres in the beautiful River Oaks area. The master suite has a large sitting area with his and her bathrooms each with walk-in closets with lots of built ins. There is a office located off of the master suite for privacy, and a mudroom with its on entrance into the garage. 2 Living areas, 2 dining areas, with new hardwood throughout. Large windows looking into the beautifully landscaped yard." 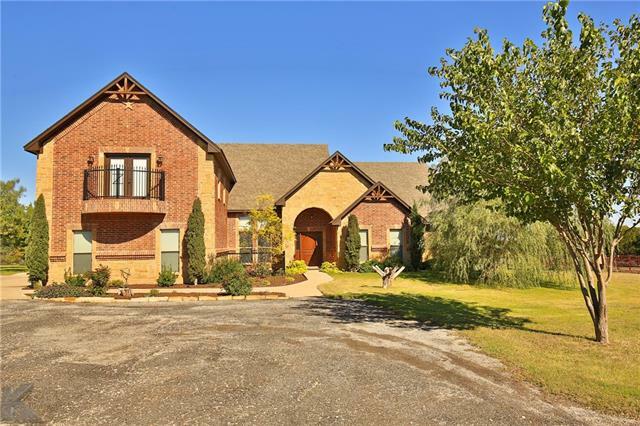 "Spectacular Stockard-built show home on 7 acres inside city limits. 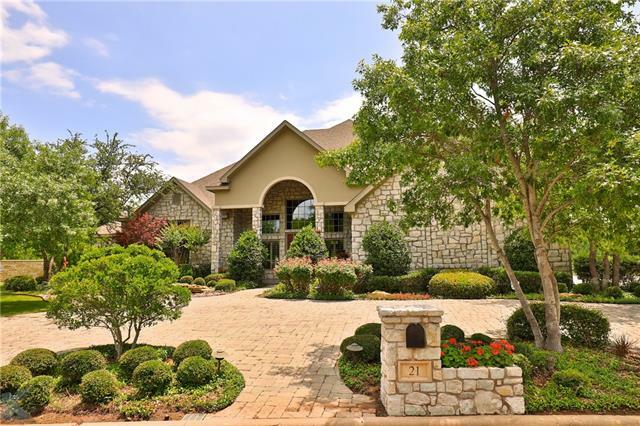 With 4,678 SF, this home includes: 4 bedrooms, study, 3.5 baths plus outdoor pool bath, 2 living, 2 dining, gameroom, eat in kitchen with island and dual sinks, built in safe and tornado closet, multiple storage areas, jetted tub, steam shower, sitting area in master, zoned air and heat, 3 car garage, self cleaning heated pool and hot tub with rock waterfall, outdoor living and dining with travertine decking, iron fencing, gorge"
"BEAUTIFUL MEDITERRANEAN HOME ON 12 ACRES WITH BEAUTIFUL VIEWS AND MINUTES FROM THE MALL. THIS IS STILL A BRAND NEW NEVER LIVED IN HOME. 5 BEDROOMS WITH 2 MASTER SUITES WITH LARGE WALK IN CLOSETS. GORGEOUS GOURMET KITCHEN WITH OVER SIZED PANTRY AND BREAKFAST BAR AND BUILT IN WINE BAR WITH OPEN FLOOR PLAN THATS PERFECT FOR ENTERTAINING. 4 BEDROOMS DOWNSTAIRS AND 1 BEDROOM AND GAME ROOM UPSTAIRS. BEAUTIFUL DECORATIVE CEILINGS THROUGHOUT.4 CAR GARAGE AND PLENTY OF PARKING SPACE." "NEW TOUR AVAILABLE. CHECK OUT ATTACHED TOUR FOR YOUR OWN PRIVATE VIEWING OF THE ENTIRE HOME. Gorgeous home in The Villages! 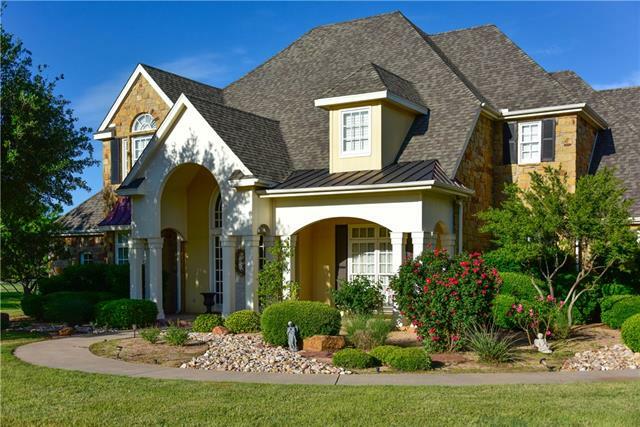 This home was previously featured in the Abilene Parade of Home. It boasts top of the line features and decorative touches. 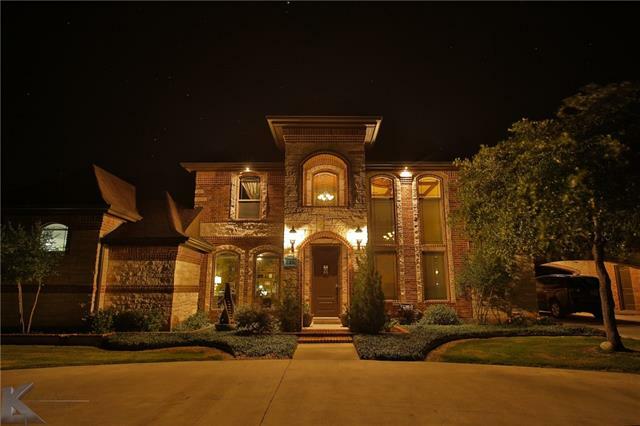 4 bedroom, 4.5 bath, formal dining, library, media, hobby room, gas cooktop in kitchen, gas fire starter, outdoor kitchen and outdoor fireplace plumbed with gas, 3 car garage, huge master suite, laundry room with workspace area, tons of storage. Th"
".GORGEOUS REMODELED HOME ON QUITE CUL-DE-SAC WITH SALT WATER POOL AND INCREDIBLE GUEST QUARTERS. PRIVATE DEN AREA HAS WINE COOLER AND FRIDGE. DOWNSTAIRS HAS PRIVATE OFFICE SPACE WITH BUILT-INS AND SEPARATE GUEST BEDROOM. UPSTAIRS HAS BEAUTIFUL MASTER BEDROOM WITH ON-SUITE BATHROOM. GREAT MASTER CLOSET WITH SINK, FRIDGE AND WASHER-DRYER COMBO. LARGE BACKYARD, COVERED PATIO, SALT WATER POOL, BUILT-IN HOT TUB AND DOG RUN AREA. GUEST QUARTERS IS 1,461 SQFT. 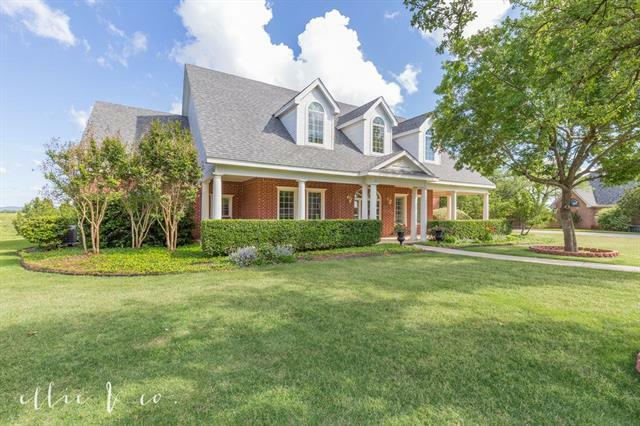 OPEN LIVING SPACE, HALF BATH, LARGE KITCHE"
"Fabulous 4383 sqft, Stockard custom-built home on 1.49 picturesque acres offers spectacular views, gorgeous landscaping, & a wonderful floor-plan. Featured are 4 spacious bedrms with master suite, formal dining rm, library-study on first floor, a Keeping-Room off kitchen, 3 large bedrooms or 2 with a living area on 2nd floor. 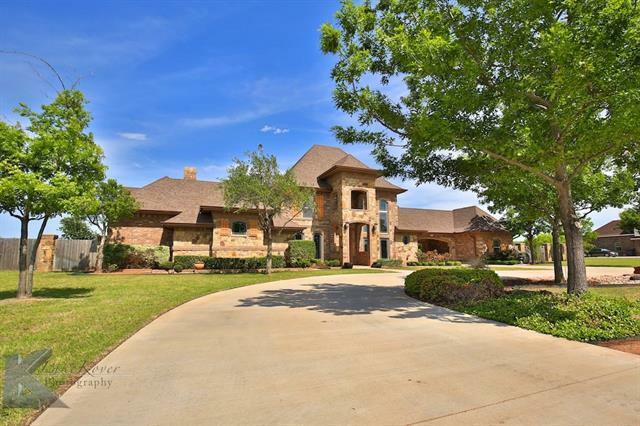 Plantation shutters throughout, Pella windows, brick-paver & hardwood floors, 3 zoned AC units new-2016, wired surround sound, 2 fireplaces-gas starters, steel bar acros"
"Executive Estate Located in The Villages of Abilene! Once inside this Beautiful Home, you will enjoy Elegant Finishes, Designer Colors, and Special Touches Throughout! Expansive Chef's Dream Kitchen! Two Walk-in Pantries! Massive Utility Room! Each Bedroom has a Private Bath! Spacious Master Bedroom and en-Suite Bath include Fireplace, Jetted Tub, Dual Vanities, and Grand Master Closet! 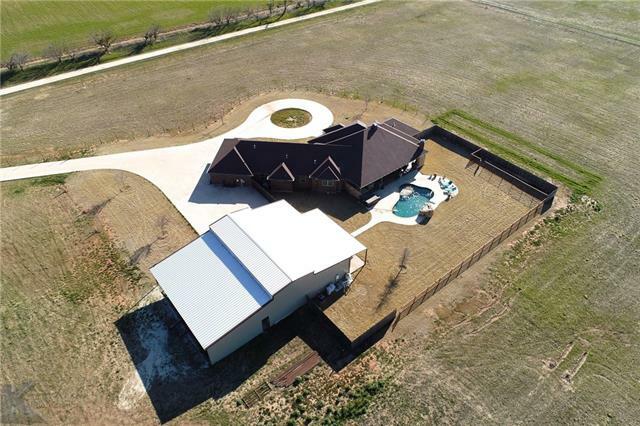 Backyard Oasis is perfect for Entertaining your Family and Guests with Gas Firepit, Luxurious Bar, Heated Ingr"
"Exquisite custom ranch style house on 25 acres in Wylie ISD. 3,804 SF was designed by its owners and boasts four bedrooms and three full baths. Ceramic tile flooring, Gourmet kitchen with gas range and double ovens, walk in closets, office off master bedroom. Rock fireplace in patio. Acreage is in excellent condition and fenced off into three pasture. The front pasture is 8.65 acre and consists of native and improved grasses. Middle pasture is 9.18 acres unimproved with mature mesquite tree"
"If Nostalgia is what you're looking for, THIS IS IT! This historic home was built in 1934 by the leading female contractor in the USA! Winner of Abilene's Most Beautiful Home in 2017! Leuders Stone and a tile roof adorn this home, and 13 inch walls ensure that any outside noise doesn't intrude. 3 gas fireplaces in kitchen, living room, and library. Master features rooftop patio, walk-in closet, and bathroom with jetted tub! Extra room off master is a perfect sitting room or nursery, with it's ow"